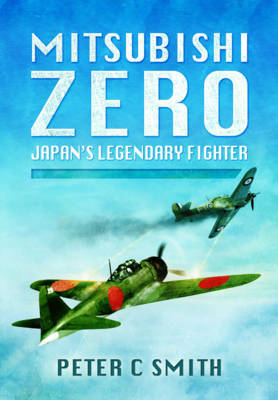 The Mitsubishi Zero is one of the great legendary fighter aircraft ever to have graced the skies. Symbolic of the might of Imperial Japan, she represented a peak of developmental prowess in the field of aviation during the early years of the Second World War. Engineered with manoeuvrability in mind, this light-weight, stripped-back aircraft had a performance that left her opponents totally outclassed. The dogfights she engaged in with the Chinese, British, Dutch and American warplanes in the 1941-42 period are the stuff of aviation legend. The Zero fighter had four major assets - agility, long-range, experienced and war-blooded pilots and, most importantly of all, a total inability of the Allies, particularly in the Pacific Theatre of operations, to believe that Japan could produce such a machine. Despite a whole series of eyewitness reports from China, where she had swept the skies clean of all opposition, western minds were closed, and remained so until the brutal facts imposed themselves on their biased mindsets. All aircraft designs are a compromise of course, and the Zero had faults as well as strengths, two of which were to finally doom her; one was her lack of armour protection and the other was the inability of the Japanese to match the overwhelming production strength and innovation of Allied aircraft construction. Even so, she remained a potent threat until the end of the war, not least in her final role, that of a Kamikaze aircraft, in which she created as much havoc on the sea as she had done earlier in the air. Peter C. Smith takes the reader on a journey from inspired inception to the blazing termination of this unique aircraft, the first Naval fighter to be superior to land-based aircraft. It describes in detail the many victories that punctuated the early days of its operational career as well as the desperate dying days of the Second World War which witnessed her final demise. Smith also lists the preserved Zero aircraft on display today. This is a fast-paced and fascinating history of a fighter aircraft like no other.